It´s a well-known story about Cindirella. 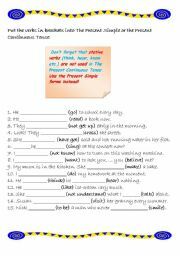 While reading you´ll have to complete it with the verbs in the Past Simple Tense. Hope you and your students will like it. 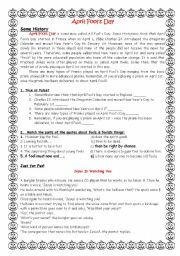 there you can find some history about April Fool´s Day, the quotes about fools & foolish things by famous people,do some exercises to the text. The keys included!! 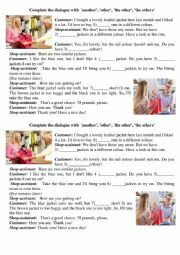 It´s a good test to check how your students understand the usage of the pronouns other/another/the other/the others. Hope, you´ll like it. It´s convebient to check the test with the help of ZipGrade app. The worksheet can help you to practise the usage of The Pr. Simple and The Pr. Continuous Tenses in comparison. 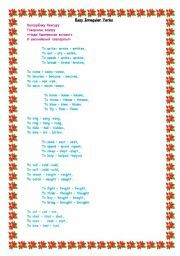 Pay attention to stative verbs. A worksheet for a short cartoot Mike´s New Car by Disney. 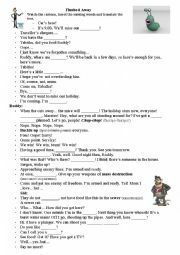 There´s a vocabulary, an exercise with missing words and phrases which ss have to fill during listening, easy questions and a translation. 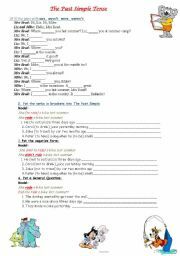 The worksheet is for Russian speaking studens,but you may change it easily:) With keys! 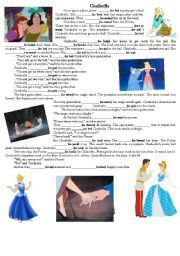 The worksheet for the film "Enchanted". Here you can find some tasks for the cartoon part of the movie. A little vocabulary, questions and the script with missing words that students have to fill during watching. This is the first task for a video class. Here you should watch a part of the cartoon Flushed Away and fill the gaps with the missing words.